Why build when you can buy an almost brand new home? Custom built in 2015, this split bedroom ranch is sure to impress. With open spaces & tall ceilings throughout, you'll never feel this home is too small. Never compromise on luxury either. 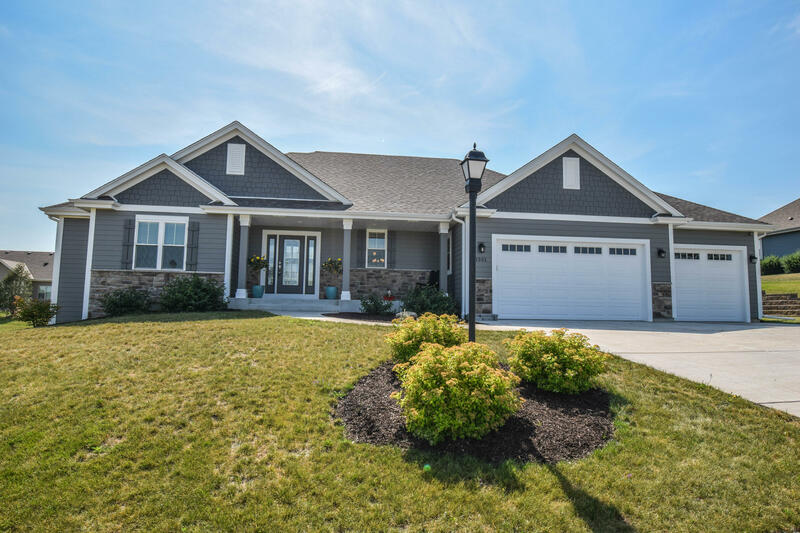 Features include a floor to ceiling stone gas fireplace, vaulted & trayed ceilings throughout, Kohler fixtures, deluxe 2 panel interior doors, granite counters throughout, deluxe cabinets w/ slow close drawers, new stainless appliances, as well as new washer & dryer. Basement offers egress windows & is plumbed for a full bath. ; ready to finish! Enjoy walking trails along the Fox River & a private park nearby. Take a look today!